Phenological background information for alpine species is limited from extremely high altitudes. Flowering and fruiting phenology was monitored for 24 plant species at 5,180 m a.s.l. near the base camp area on the north slope of Mt. Qomolangma (Mt. Everest) in Tibet, western China. The dates of first flowering, peak flowering, end of flowering, first fruiting, peak fruiting and flowering period were recorded. There was a wide variation in onset of flowering, long flowering duration, a relative synchrony between the onset of flowering and fruiting, and one species was exclusively vegetative. 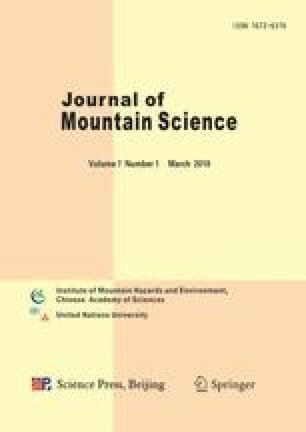 These results suggest that the species have evolved various phenological strategies as adaptations to the short growing season with limited resources and pollinators in this harsh alpine environment at extremely high elevations. With a background of global warming, local plant species will represent an advancing trend in onset of flowering.